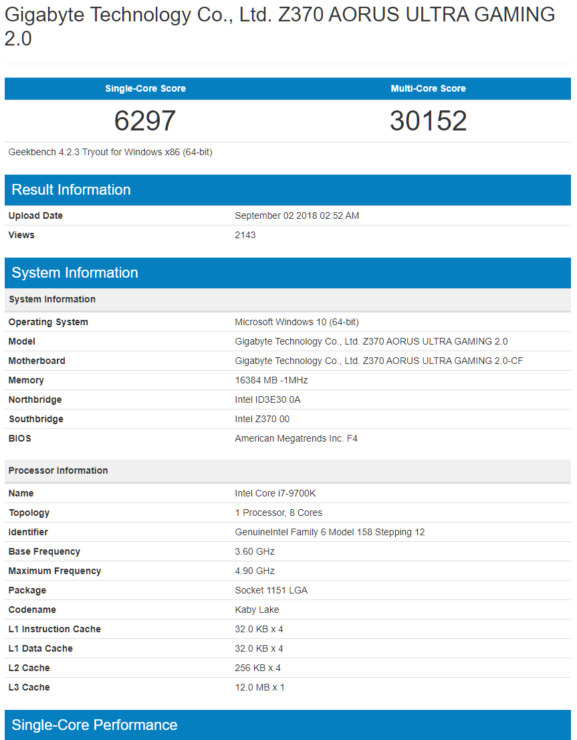 As launch of the Intel 9th Generation, core processors gets closer and closer, more performance and overclocking previews (or leaks as we call them) are appearing on various Asian forums. The latest one shows the Core i7-9700K being pushed beyond 5 GHz on an air cooling setup and we also have a few performance benchmarks. The Intel Core i7-9700K processor is an 8 core and 8 thread part. The chip will have 12 MB of L3 cache and as you might tell, it has lower threads than the Core i7-8700K but comes with higher core count. In terms of clock speeds, the chip has a base clock of 3.6 GHz and boosts up to 4.9 GHz in single, 4.8 GHz in dual-core, 4.7 GHz in four core and 4.6 GHz in 6/8 core operations. The TDP for this part is maintained at the same 95W. 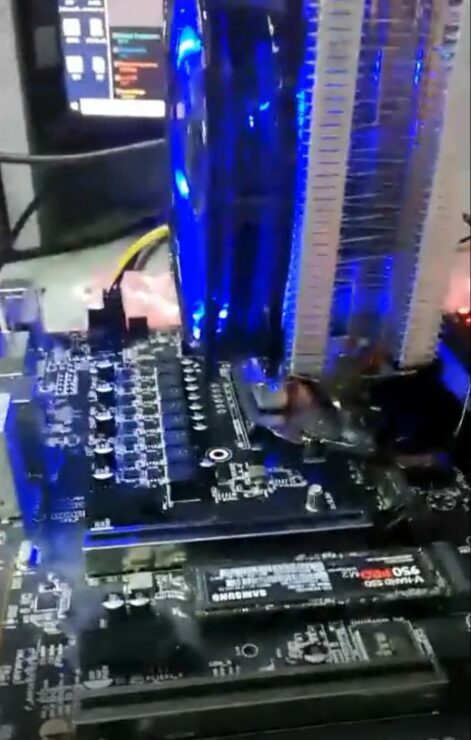 In terms of overclocking, we have already seen the chip running up to 5.5 GHz on a water cooled setup as shown in previous leaks. A voltage that’s presumably 1.536V was used and to be honest, that is a bit too much for the chip but regardless, the chip was able to run all it’s 8 cores at 5.5 GHz and the leaker even provided us the performance benchmark in Cinebench R15. The chip scored 250 points in the single thread and 1827 points in the multi-thread benchmark. 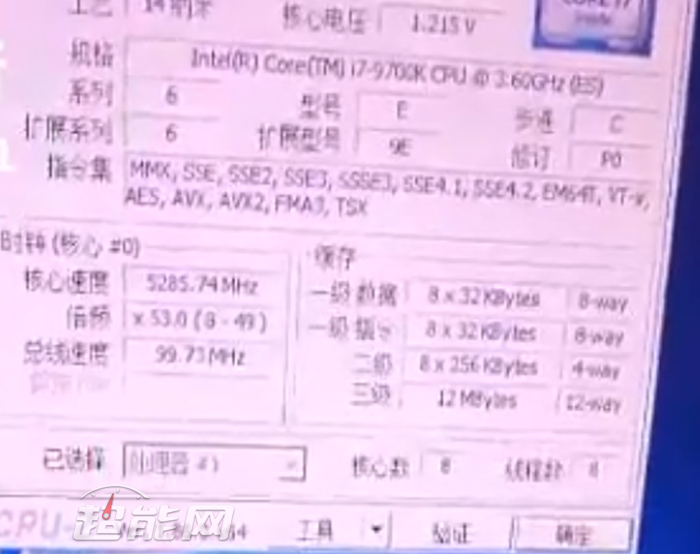 The latest leak shows the chip running at 5.3 GHz on air cooling with a voltage of just 1.215V. Now, this could be a really good sample that the leaker got his hands on. Aside from that, the specs are the same which we have mentioned above. The interesting thing to note here is that the chip is still an ES (Engineering Sample) and has the C Stepping and P0 revision. 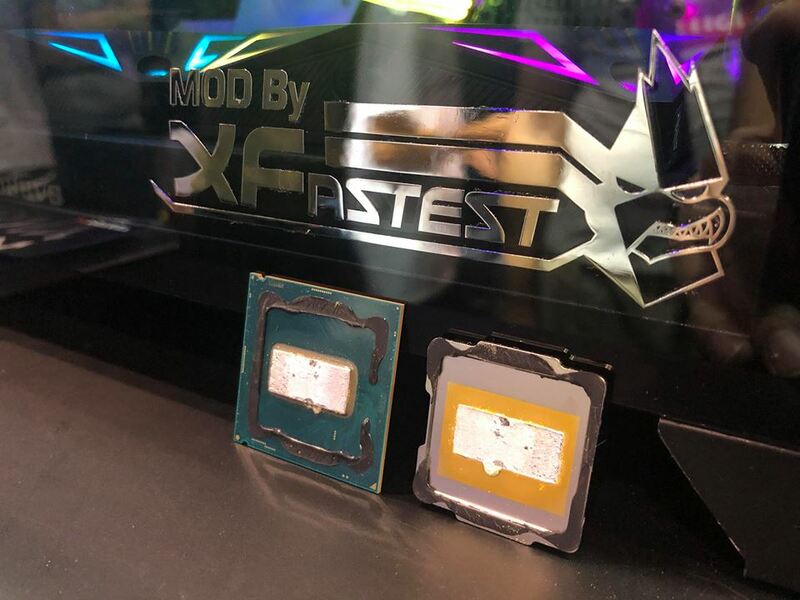 The chip was spotted running with a Deepcool GAMMAXX 400 air cooler which is a very entry-level solution featuring 4 heat pipe which makes direct contact with the CPU and costs under 30 bucks. We have no idea what board the chip was running on but its surprising to see that the VRM area of the board used was bare of any heatsink so that might put some heavy stress on the PWM supply. 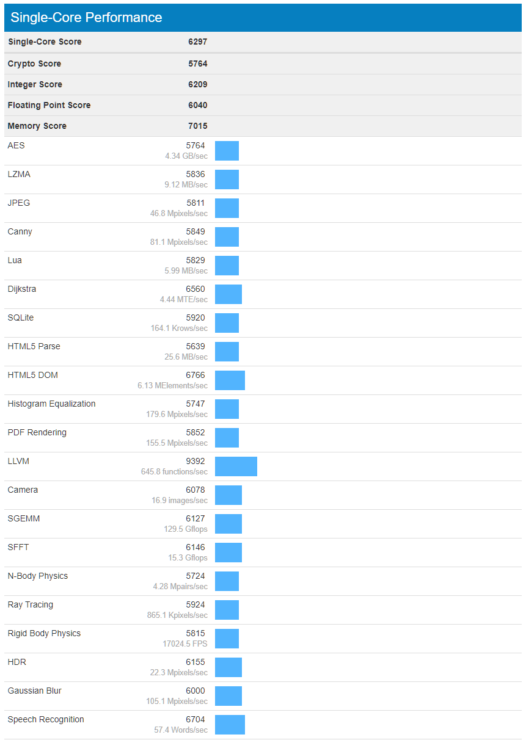 As for the Geekbench performance benchmarks, the chip was running at stock clock speeds and reported a single-core score of 6297 points and multi-core score of 30,152 points. 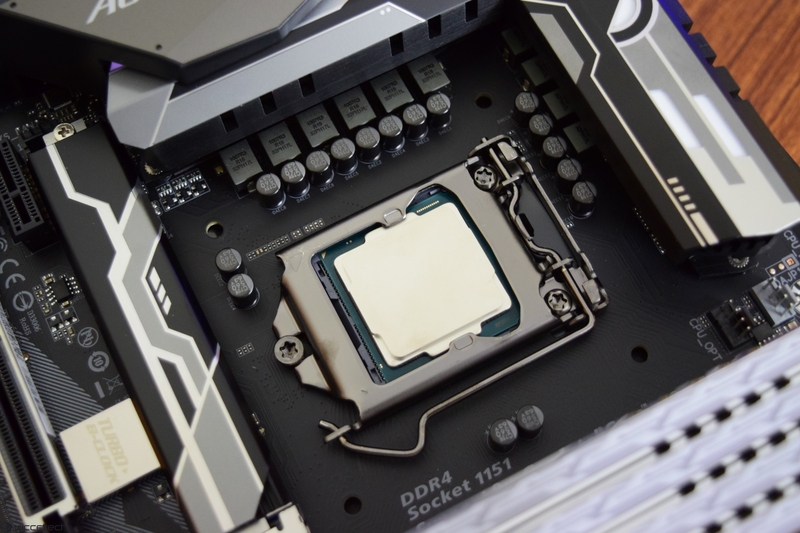 When compared to the Core i7-8700K, the chip is well ahead in both single and multi-core tests. Comparing it to the Ryzen 7 2700X shows that the chip is much faster in single core workloads but the Ryzen 2700X has a total of 16 threads while the Core i7-9700K has only 8 threads so while the 9th Gen chip is in lead, the difference in performance is lower than the 8700K’s multi-core score. Then again, the Ryzen 7 2700X should be compared to the Core i9-9900K which boasts 8 core and 16 threads. 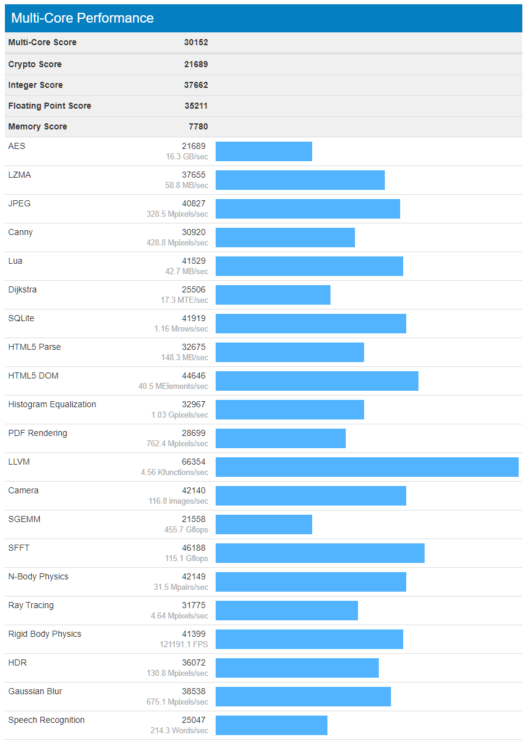 With the 9th Generation unlocked SKUs set to feature soldered IHS after many years of using TIM between the CPU die and IHS, overclockers would be very excited to test the new chips out and breaking some performance records.